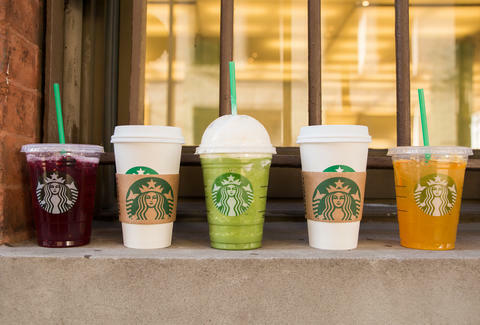 The only thing people love more than Starbucks coffee is free Starbucks coffee. And there are typically two ways to get free coffee: steal it (which is frowned upon), or earn it via Starbucks Rewards, an app/card which, umm, rewards loyal customers with free drinks and food. But the Starbucks Rewards program changed in a huge way today, and angry loyalists are taking to Twitter to voice their dissatisfaction. Our pal/'Bucks expert StarbucksMelody reported back in February on the overhaul the rewards program was going through. It used to work like this: you'd be rewarded with a star every time you visited your local shop. It didn't matter how much money you spent per visit, they only gave you credit for visiting -- so in that way, Starbucks was like your mom. She just wanted to see you. Why don't you visit her as much anymore? Each visit was worth one star. After 12 visits/stars, you'd get a free reward (coffee! Food! ), and after 30 visits/stars, you'd get Gold status. That meant you could get free refills in the store. That was the only real perk. But Americans seemingly spend more time at Starbucks than they do in their own homes (or visiting their mothers), so that's a valuable reward! As of today, things have changed. You're awarded two stars for every $1 spent. It takes 300 stars to hit that fancy Gold level, though if you use the app/card to make a purchase between now and May 2nd, you'll be Gold for a year. And it takes 125 stars -- as in, you must spend $62.50 -- to get a free coffee or food item. Instead of rewarding you for visiting frequently, Starbucks' new program incentivizes customers based on how much money you spend. And people on Twitter are not happy. Here's what folks had to say. Can I have the name of the person who came up with this plan ? 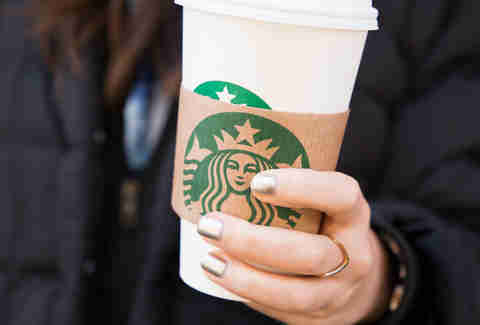 @starbucksgold @kmariewhite It's more money for less rewards any way you try to promote it. I'll go back to cash payments. TWO drinks?! Now they've gone too far. I already expected the new Starbucks Rewards to be bad, but to lose TWO free drinks today due to this change really added insult to injury. Good news: it's only $62.50! Wow this is amazing. Now I ONLY have to spend $63 to get a free coffee @Starbucks. #sarcasm No thanks @StarbucksGold bring back old program! Great! The new Starbucks rewards program has commenced! Now I have to spend 62 dollars to get a five dollar drink for free! YAY! Finally, a Starbucks fan who can do math! @Starbucks new Rewards Program. THUMBS DOWN! 125 stars (2 stars per dollar spent) = free drink or food? Spend $62.50 get a $4 drink?